Christmas Decor ,Honor Cord as low as $2.25 ea - Order Online @ TasselnFringe.com ! Enjoy this christmas season holiday with Christmas decorations and ornaments from TasselnFringe.com. Whether you're decorating indoors or outdoors, TasselnFringe.com has just what you'll need to make your home and yard festive for the holidays. We have also a collection of Christmas stockings, Christmas ornaments and tree trim, artificial Christmas trees, Christmas lights, Christmas wreaths and garlands, holiday party supplies, Christmas stockings, holiday inflatables, beaded accessory, window decoration, beaded crafts, crystals, christmas decorations, Tassles, Garlands, handicrafts, trims, christmas decorations, treehangings, christmas tree decorations. Buy Christmas ball ornaments as low as $0.99 at TasselnFringe.com. We have a full collection of Christmas Ball Ornaments , Christmas stockings, Christmas ornaments and tree trim, artificial Christmas trees, Christmas lights, Christmas wreaths and garlands, holiday party supplies, Christmas stockings, holiday inflatables, beaded accessory, window decoration, beaded crafts, crystals, Christmas decorations, Tassels, Garlands, handicrafts, trims, Christmas decorations, tree hangings, Christmas tree decorations. Buy Christmas tassel as low as $0.31 at TasselnFringe.com. We have a full collection of Christmas tassel Christmas Ball Ornaments , Christmas stockings, Christmas ornaments and tree trim, artificial Christmas trees, Christmas lights, Christmas wreaths and garlands, holiday party supplies, Christmas stockings, holiday inflatables, beaded accessory, window decoration, beaded crafts, crystals, Christmas decorations, Tassels, Garlands, handicrafts, trims, Christmas decorations, tree hangings, Christmas tree decorations. Discover all sorts of Christmas tree ornaments and decorations in our massive collection of Christmas ornaments, including personalized ornaments and custom ornaments. When it comes to tree decorations, including personalized ornaments and custom Christmas ornaments, our selection of Christmas ornaments and tree decorations is hard to beat. 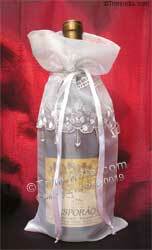 Elegant Wine Bottle Cover and Gift Bag in Tissue, Dupioni & Jacquard Wine Bottle Cover Gorgeous wine bottle covers in Jacquard, Dupioni, Silk, Tissue 100% hand-made wine cover Each wine bottle cover features a beautiful stitched Designs. All covers are Custom Made according to your designs, Colors. Organza bags for Gifts and Wedding Favours. Organza bags are just perfect for presenting wedding favours in. 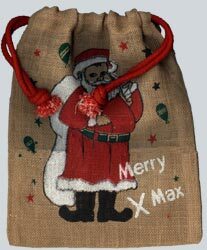 Alternatively organza bags can be used for gifts such as miniature bottles of spirits, candles, jewellery and soaps; they are very promotionally priced. Perfect for Wedding Favour & Fall Holiday Season. Pom pom garlands, made by hand in wool, are for decorating and hanging. Unique garland can be hung on a Christmas tree or mantle, or used to decorate interiors, events, weddings and parties, wherever you want. TasselnFringe has designed its range of wool pom pom garlands and Gold Glitz combination in different colours, as single colour options or combinations of colours. Mix and mingle the garlands for great effects. Also available are large wool pom pom bookmarks, pom pom key rings and we can custom make them according to your requirements. We cater, small Retailers as well Wholesalers. 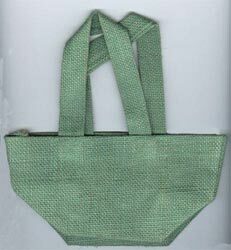 An extensive assortment of promotional shopping jute bags, Jute Christmas gift bag and wine bottle bags, Promotional bags, Carry bags from Trimindia.com. 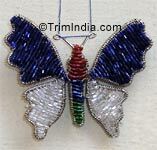 Variety of designs and colors are very promotionally priced. Customized according to your needs - Company Name can be Printed on them as well.